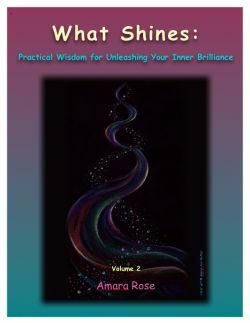 Download our eBooks, What Shines: Practical Wisdom for Unleashing Your Inner Brilliance, adapted from the inspirational monthly e-newsletter, What Shines. Amplify the feminine frequency in your life with our new e-courses, Loving Our Lunacy and The Inanna Initiations. Wear and share your light! From sweatshirts to shoulder totes, baseball caps to bumper stickers, CafePress.com provides a profusion of seasonal essentials, emblazoned with the Live Your Light logo. "What's happening? Why doesn't my life make sense anymore?" A lot of people are asking similar questions now. Collectively, we're going where no one has gone before  into an evolutionary phase that doesn't exist on present mental road maps. This unique audio adventure guides you on a pilgrimage home to your own heart. 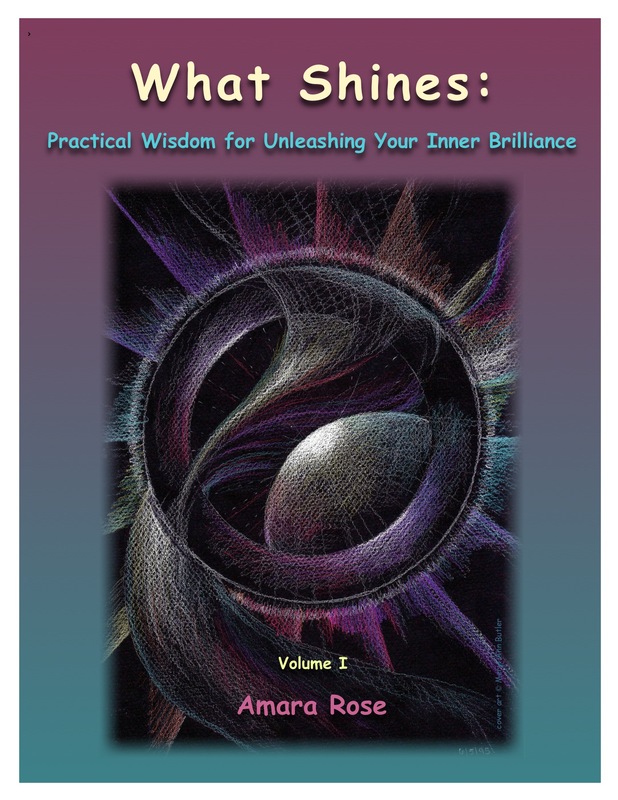 Modeling the individual quest for purpose and potential on the Hero's Journey, Amara discusses ancient truths in modern language, sprinkling wisdom from Jesus to Rumi to Louise Hay throughout, along with stories from her own wellspring and the lives of clients and friends. An inspirational, entertaining and practical spiritual journey, packed with tools and techniques to help you grow beyond who you've been, into who you're choosing to become. Enjoy the journey every day! 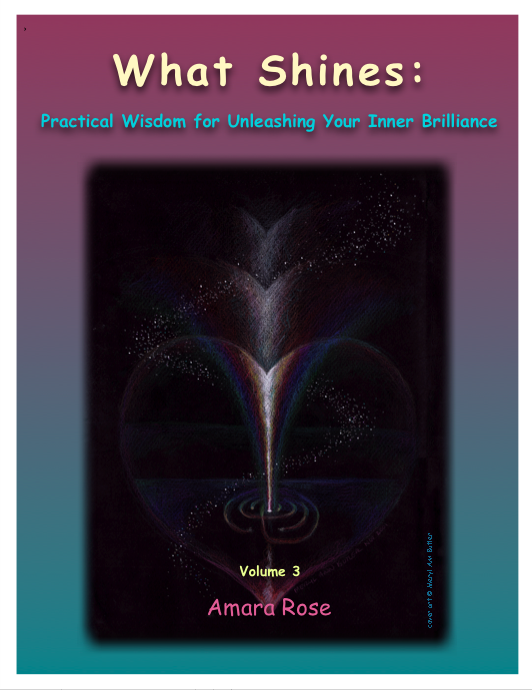 "Amara takes the listener on a magical journey that demystifies the process of personal transformation and makes it an exciting next step on our spiritual path of development. I highly recommend her CD!" "In the late 1990s and early 2000s I was going through a difficult separation and divorce. I went to a spirituality conference in Chicago and saw your CD there. I purchased it and it immediately became my touchstone for a greater and better life. I kept it in my car and listened to it over and over again. It guided me through those difficult times and on into times of wonderful change and happiness. "For a number of years thereafter it simply sat on my CD shelf  or at least I thought it was there. Within the last few months I encountered another difficult situation and I went looking for What You Need To Know Now for the comfort I knew it would bring me. Much to my dismay I discovered that while I had the plastic case, there was no CD in it! Then last week my friend Kris was visiting. I told her about your CD and within minutes she had found your site  Live Your Light. We both immediately ordered copies. Since receiving mine I have listened to it several times and as I knew it would, it has brought me joy and a sense of peace. Thank you for all you have done for me over the years." "I listened to your CD almost continuously throughout the day every day since the morning I heard you for the first time. There was something compelling about it  I could not stop. I think the magnetic quality that it had for me was the fact that I recognized the voice, it sounded like someone I knew very well, but hardly at all. I heard myself in that CD, it was my voice. I have never had an experience like that before, Amara. That draw I felt was to you, to your words and wisdom, to your heart's song, and something else that no other speaker has offered me before. I was falling in love with me again, as I listened to you. I played it over and over, hearing new ideas, words, phrases each time. Every listening was a new experience. And it was a love transfusion. "With each word, giggle, story, quote, poem, reflection - I grew stronger and stronger. I was slowly, steadily being nourished. Gradually, I was being fed love through poetry, humor, dreams, and metaphors  my life line, my way back to the land of the living  and yesterday afternoon, after listening to your CD almost all day at home and in the car, and returning from a full, productive, happy day of looking for work and adventuring, I realized that I didn't need the feeding tube anymore. I haven't listened to it since. It was my medicine. I've put it back in its case, and returned it to the CD rack. It's not the same CD as it was four days ago. I'm not the same woman as I was four days ago." "Your CD provided the strength and confidence that enabled me to change the crash course I was on and proceed in a much more productive and positive direction ... it became clear from listening that re-focusing, embracing and letting go were essential steps I needed to take. I listened over and over, to and from work, for days on into weeks, and I gleaned phrases of strength that became mantras for me as I leaped, trusting I would see a better way. "Although I was frightened, it was exhilarating, and within ten days or so, everything changed. I am so much happier, fulfilled and confident. I want to thank you for being so human, exposing your strengths and weaknesses, sharing your journey, bringing light." "I came across your CD in the mid-2000s and always re-listen when I'm going through some transformation! "Wow! You deliver your message so clearly yet your voice is light and joyful. Yes, it is about 'coming home' and I am trying to keep myself open, which I'm learning is a task of itself. I will listen to your tape often to keep me on track." "Congratulations on a wonderful job. The CD is delightful. Good voice work  wonderful quotes  nice line of thought. I look forward to more." By mail. Just print out this order form and mail it with your check or money order to the address on the form.